For a Natural North Florida county that has no Gulf of Mexico coastline, Gilchrist County sure has lots of waterfront! In fact, few of our area’s coastal counties have shoreline to match Gilchrist’s 55 miles along the Suwannee, Santa Fe and Ichetucknee rivers. The Suwannee River begins several hundred miles from the Gulf in Georgia’s Okefenokee Swamp. The Santa Fe River begins upstream in Union County and flows into the Suwannee near Ellie Ray’s Resort. 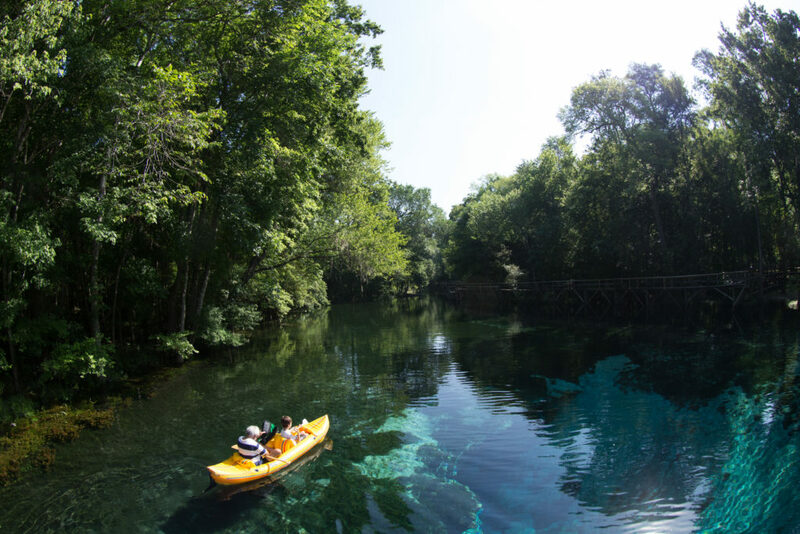 The Ichetucknee River is fed by springs at Ichetucknee Springs State Park, and joins the Santa Fe south of US27 near Fort White. 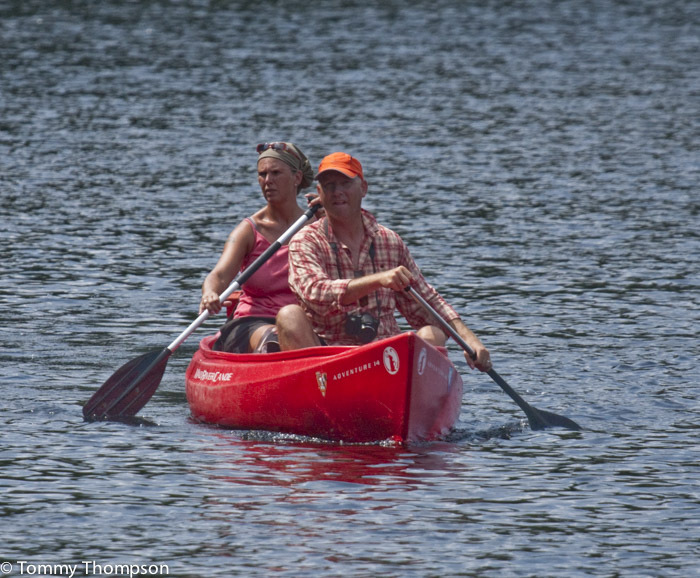 Paddlers should be aware of all the twists, turns and sights along the way. 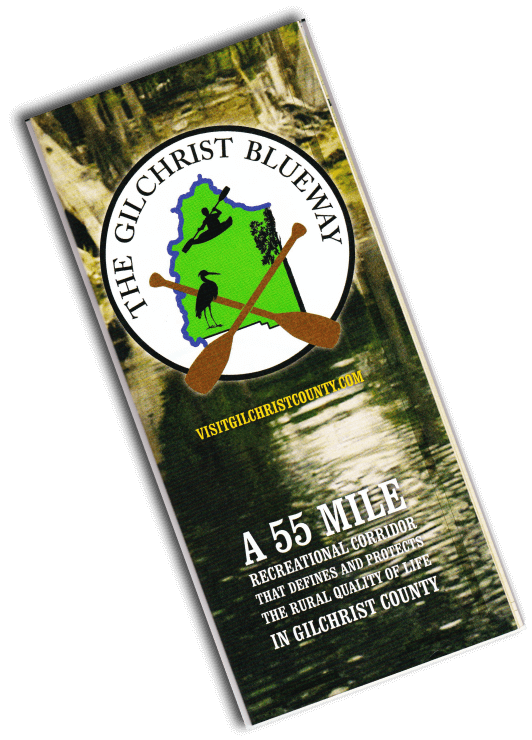 And there’s no better tool to have on board than the Gilchrist Blueway Map, available for order online from Gilchrist County. 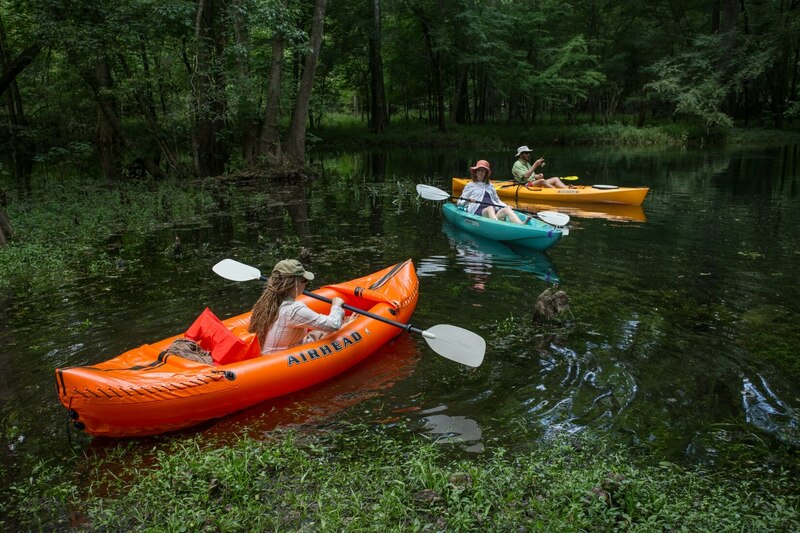 The Gilchrist Blueway Map and Guide is an excellent planning tool, as it lists boat ramps, kayak launches, sites of interest and historical information about the area. It also gives details about the many freshwater springs that you’ll see on your trip. Water levels along the Santa Fe River are relatively constant, as it’s primarily spring-fed. 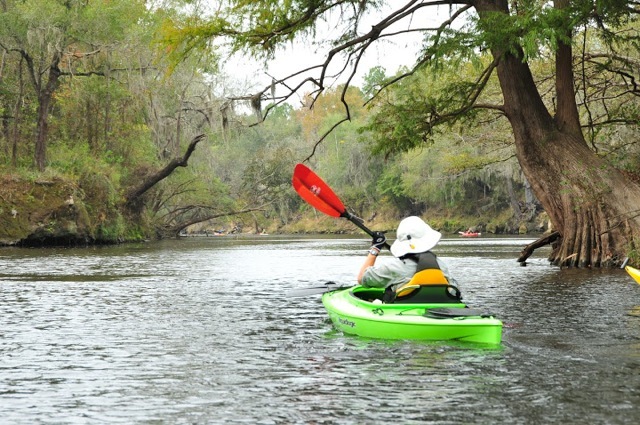 However, heavy rains can cause the Suwannee River to flood, making paddling an “exercise in exercise”!